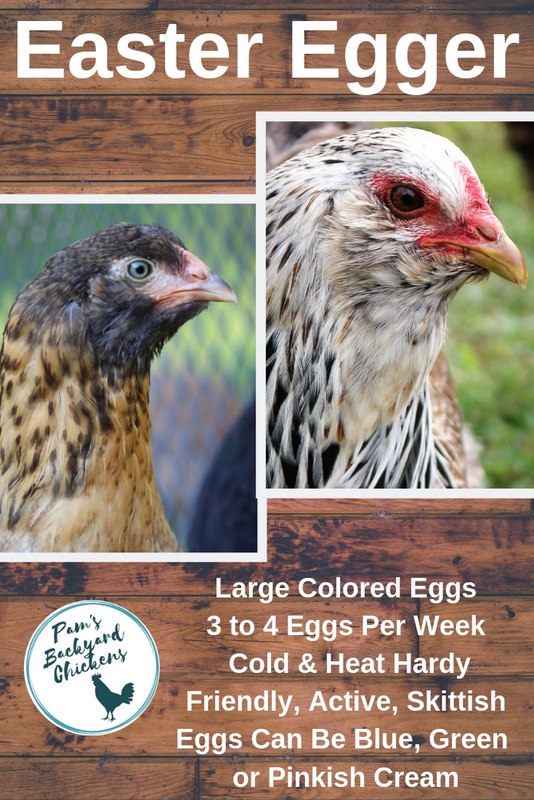 Easter Egger chickens are a longstanding flock favorite, from their colorful eggs to their varied looks, there's something for everyone to enjoy. Little Muff loves to scratch through leaves for a hidden treat. These prolific layers are easy going and friendly and their piѐce de résistance is that they lay colored eggs. This varies from chicken to chicken; they can be blue, green or even pink. Tip: It’s impossible to know what color egg your Easter Egger will lay until it lays its first egg. Although the name refers to a holiday basket of colored eggs, your Easter Egger will not lay different colored eggs each time it lays an egg. Whatever color egg it lays first is the color it will continue to lay for a lifetime. Easter Egger chickens don't switch back and forth between egg colors. This is the bird you’ll most often find in hatchery catalogs as a colored egg layer. Some hatcheries accurately call their stock by the Easter Egger name. 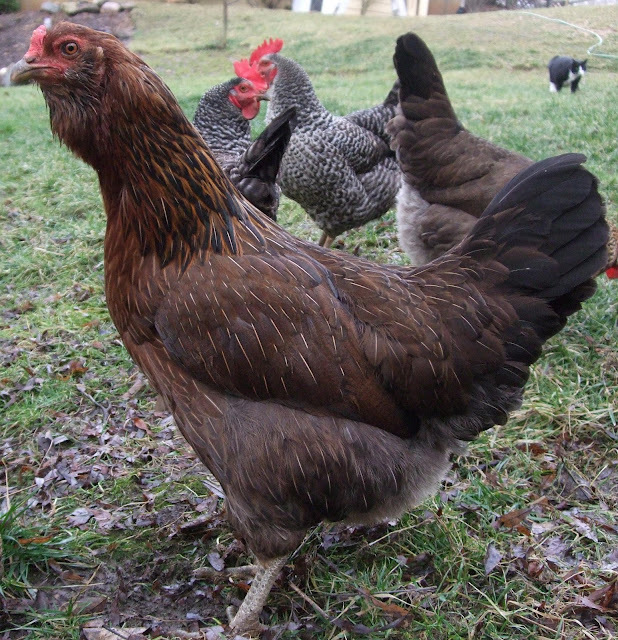 Others call their stock Araucana, Ameraucana, or Americana. Usually, their stock consists of Easter Egger chickens. True Araucana chickens are rare. 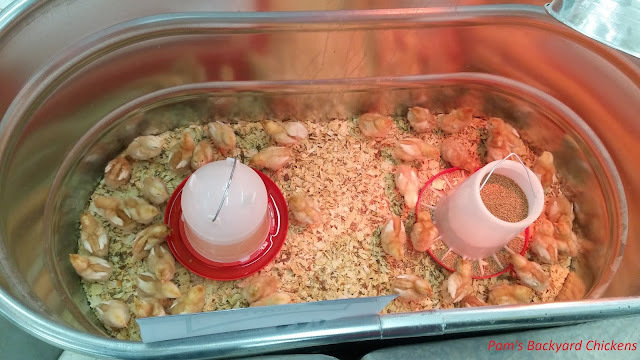 Ameraucana chickens are getting more popular and some large national hatcheries do accurately carry them. Americana is just a misspelling on the part of the hatcheries. It's important to know, Easter Eggers are not full-bred chickens. 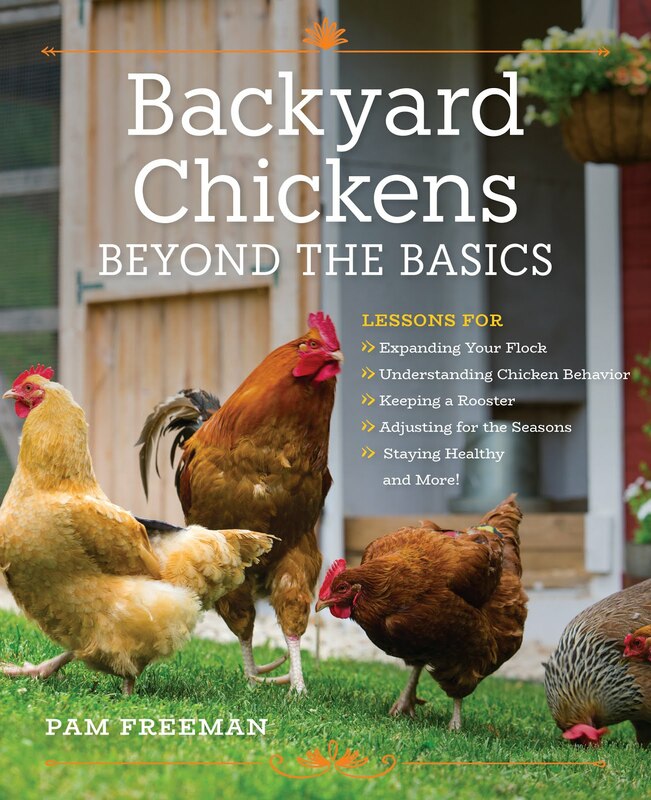 They are hybrids, meaning they are a cross between two different breeds of chickens. Hybrids can breed and reproduce, but their characteristics will not necessarily breed true or consistent. Hatcheries each have their own crosses for breeding so you really never know what you're going to get. Since an Easter Egger's lineage is mixed and varies from breeder to breeder, this is a chicken that is normally not shown at poultry shows conforming to the American Poultry Standard. 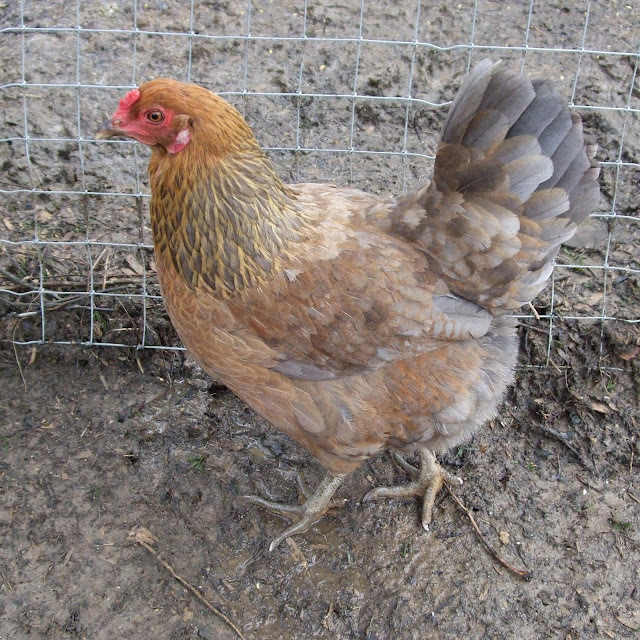 Easter Eggers are available as bantams too. 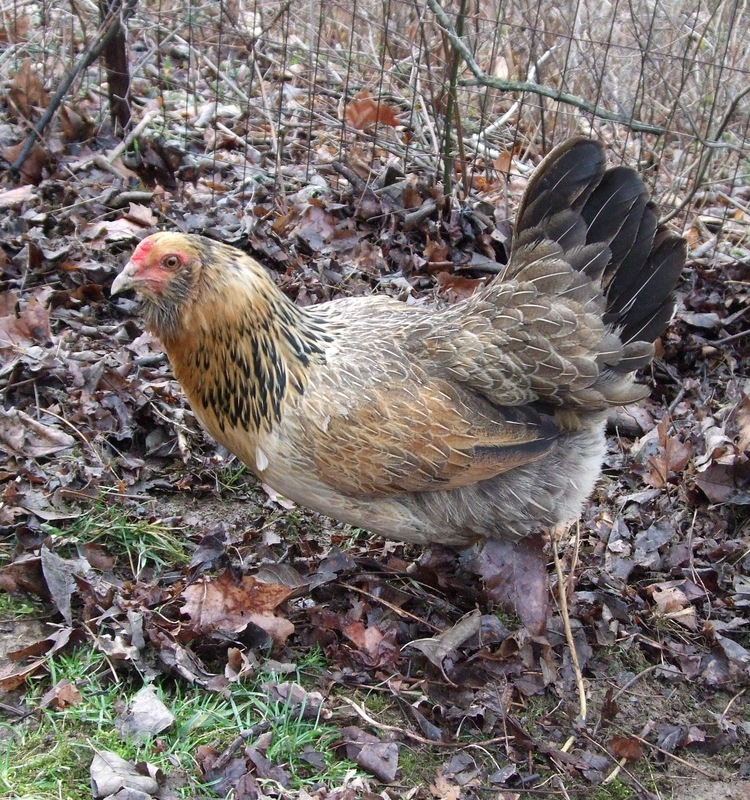 Heddy was identified as an Easter Egger chicken once she started laying green eggs. Big Muff has the telltale Easter Egger muffs.